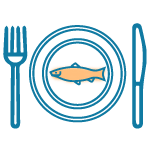 Become a member and reserve your monthly seafood share. Our seafood is harvested in Alaska and the Pacific Northwest from the world's best sustainably-managed, wild fisheries. Save time trying to find high-quality fish. We pack your fish with dry ice and deliver it directly to your doorstep. Enjoy healthy, delicious and sustainably-harvested, wild-caught seafood all year long. 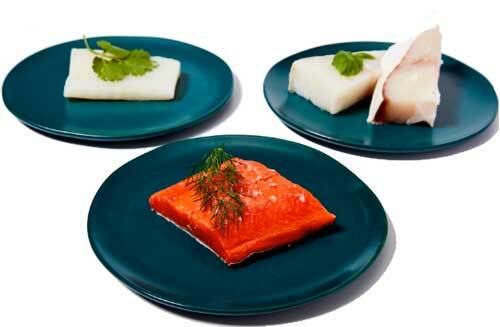 We ship Sockeye & Coho salmon as well as wild Cod & Halibut based on availability. Right now, we are proudly shipping wild salmon, cod & halibut including wild sockeye salmon from Bristol Bay, Alaska and the Salish Sea. 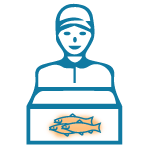 Our seafood is sourced in small batches based on the number of active members and product availability. We update all members via email before shipping new product. 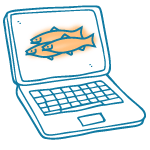 Connect people to healthy, sustainable and wild seafood. 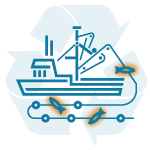 By reserving your monthly share, you’re helping to build a more sustainable food system that’s better for humans and fish alike.